Rosé, to me, is a great example of a wine to relax with. The colour is beautiful, the tastes are full of fresh red berries and it almost has the power to have you think you are sitting on a deck on a hot summer day when it is the middle of February in Canada! Let’s get down to the good stuff, and this weeks entry is damn fine! 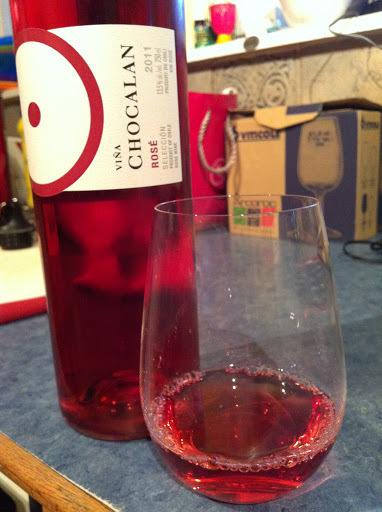 Vina Chocalan 2011 Rosé is a fantastic, thirst quenching wine made for enjoying anytime of the year. This stunning pink wine hails from the Maipo Valley in Chile. The Maipo Valley is a premium growing location for grapes and this region has been delivering some excellent valued wines – such as this rosé. Vina Chocalan is made up of 80% Syrah and 20% Petit Verdot. It is such a fantastic blend for rosé! I cannot begin to tell you how much I enjoyed this wine and, the brilliant part? It is ONLY $12.99! What? It is $1.00 below my usual review ‘price’ but I had never tried a rosé from Chile nor had I heard of this wine so it was a gamble that paid off beautifully! This rosé is a bright medium pink colour and is medium- in aroma intensity. This wine does not hit you over the head – it is subtle, refreshing and crisp – full of red cherries, red currant, plum and strawberry aromas…YUM. It also had a subtle aroma of stone and minerality that I am coming to love. 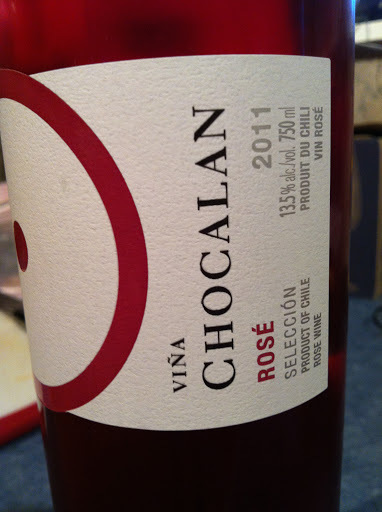 On the palate, Vina Chocalan is refreshingly dry with medium + acid. It is medium in body and alcohol and flavour intensity. 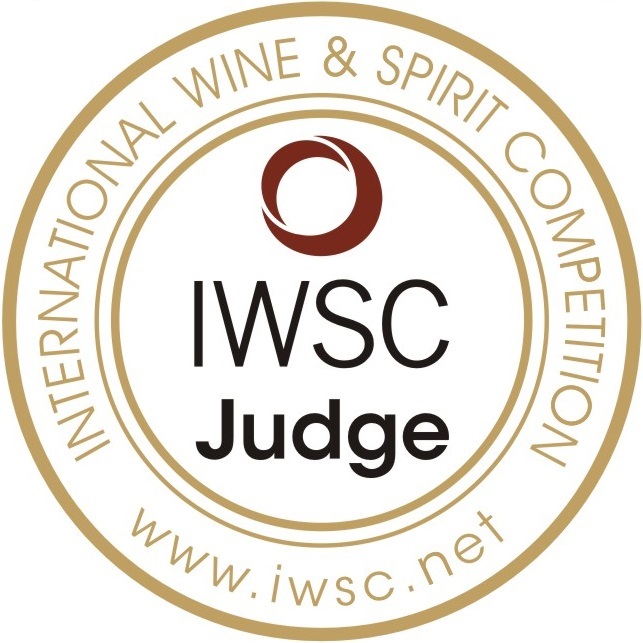 All the fresh red fruit aromas are present on the palate as well as the hint of wet stone…quite delicious! This is solidly in my “Hell Yes” category. Beautiful fresh red fruit flavours on the palate. An excellent value at $12.99! Pair with omelettes, frittata, or hard Italian cheeses. This wine has made me completely excited for the arrival of summertime and sitting on my deck. I hope you go out and pick up a bottle of this gorgeous rosé for $12.99 and indulge in a little bit of pink heaven.